Welcome to Cantering Collectables; a small family run business that values respect and trust, and offer no less to our customers. We have been open for over 3 years now and look to provide you with quality items and a professional service. I have been interested in horses for many years and to sell horse toys and collectables like Breyer is a dream come true. 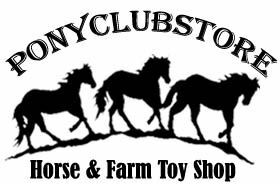 Our aim is to provide our customers with all the latest ranges from Breyer, Schleich, Papo, Brushwood Toys and equine gifts at reasonable prices with the cheapest postage prices we can. We sell to the UK and Overseas, and offer discounts on multiple purchases. We use paypal as a payment system at present, but will be looking into other options. We can also take payment by card online, over the phone and in store. We also accept payments via postal order, cheque or you can pay directly into the bank. Also available are monthly payments by direct debit. 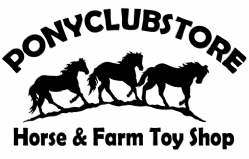 © Copyright Ponyclubstore All rights reserved.